Why Mahalay Is Best For Pitra Shanti? Why Mahalaya is important for pitru shanti, astrology behind mahalaya/pitra paksh, astrology science behind the shradha pakshof, Way to success, best days for pitra shanti process, Astrologer for best solutions. A very auspicious time to perform rituals for the blessings of ancestors or pitra is the Mahalaya/pitra paksh/shraddha paksh. This time is the best time to attract the prosperity in life by the blessings of ancestors. This is the time to perform karma kanda for the peace of souls which are related to us, this is the time to offer our good wishes by the use of spells or mantra to our forefathers. As per the hindu scriptures there is a pitra loka where every one resides after death and there state depends upon what there descendant offer in earth with true heart and by use of spell or mantra. As per the belief in these 15 days of Mahalaya/pitra paksh/shraddha paksh ancestors are free to visit earth to there beloved and also they accept the offerings and so in India this time is taken as very important, sacred and powerful to get the blessings of forefathers. The most important ritual which is done to please ancestors is TARPANAM. In this holy water with some special things tarpan is done with mantra and before that prayers are done to call the ancestors at that place. This 15 important days to please forefathers start just after the Ganeshotsav. So after taking the blessings of lord ganesha the next step is to please our pitra to make our life smooth and hurdle free. 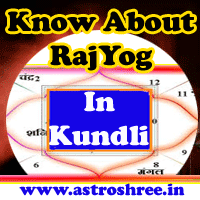 In vedic astrology pitra dosha is considered as a very important and harmful yoga in kundli/horoscope/birth-chart. Due to this person is unable to get success in life. Everywhere there is an obstacle ready for the person and so dissatisfaction makes the life hell. It is said that pitra dosha shows that curse from any of the forefathers and so it is necessary to perform some rituals heartily to please them. Otherwise job problems is seen, love problems arises, study problems arises, marriage problems arises, unwanted diseases also disturb the life and so on. So if any one is facing problems due to pitra dosha in horoscope then pitra paksha/mahalaya/shradha paksh is the golden time to over come from that dosha and to make life hurdle free. In this year 2017 the time of attracting blessings from forefathers starts from 6th of September 2017 and ends on 20th September 2017. As per astrology many important yogas are forming and making the time better to perform different types of karma kanda or rituals for the better life. Jupiter and Mars will be positive in mahalaya time and so is good for performing rituals to please ancestors. Although Shani and Rahu will be malefic in gochar and so the time is not good for the people who have problematic shani , kalsrp yoga , pitra dosha in kundli. So do tarpan regularly and pray for good life. Is there pitra dosha in your kundli, Is ancestors curses is making your life hell, what to do for success in pitra paksha as per horoscope. Know all this secret by taking proper astrology consultancy. Get the Best and trusted on line astrology services for your self and for your beloved. How To Perform Mahatarpanam Process? Why 2017 Mahalaya is important for pitru shanti, astrology behind mahalaya/pitra paksh, astrology science behind the shradha pakshof 2017, Way to success, best days for pitra shanti process, Astrologer for best solutions.